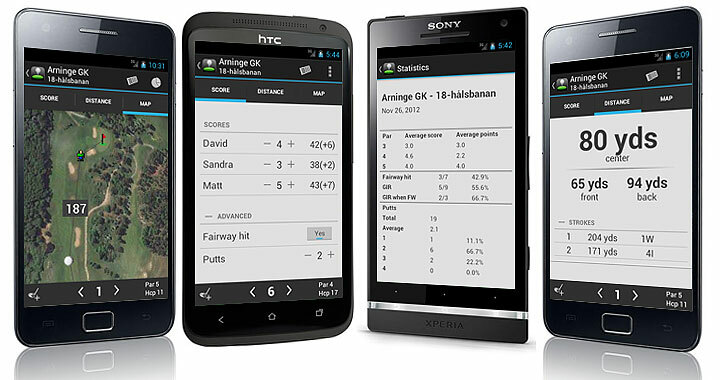 Aerial Maps, Distance Measurement, Shot Positions and Scorecard. myCaddie Golf GPS for iPhone and Android. 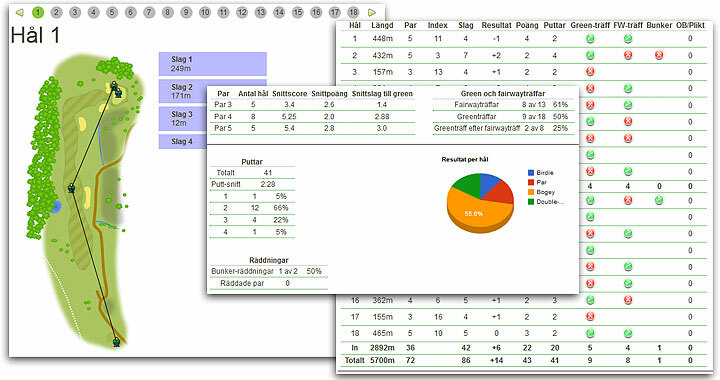 View statistics of your own and your friends rounds on myCaddie Golf Community. myCaddie assists you on the course and improves your game at the same time it makes it more fun to play. Real-time updated distances to green center, front and back. Track the distance to any chosen point, view your stroke distances and stroke positions on the course. Upload your rounds, view statistics, chat, comment and follow your friends rounds on myCaddie Golf Community. Detailed scorecard for up to four players. Free version to download! Buy the full version to get statistics and to get rid of the ads. 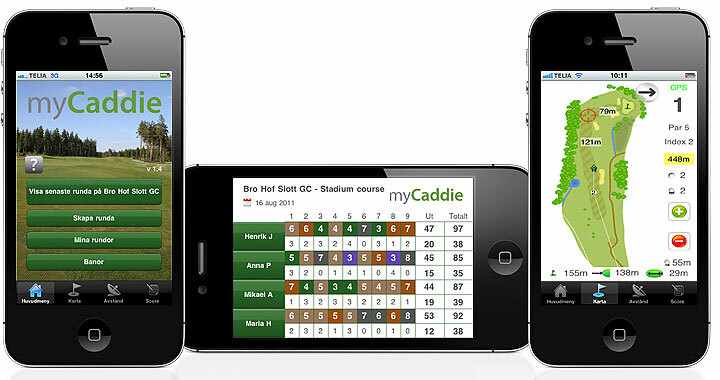 Fill in your details to receive news about myCaddie's Golf GPS App.